Microsoft announces two new affordable smartphones, Lumia 435– first ever 400-series and most affordable Lumia yet–and the Lumia 532, a powerful device with a premium layered design and Glance screen support. The two new devices will be available in 3G single SIM and 3G Smart Dual SIM in these colors: bright green, bright orange, white and black. Once you get one of the new smartphones, have a look at the new colorful matching protective flip cover with card holder will be available for the Lumia 532. 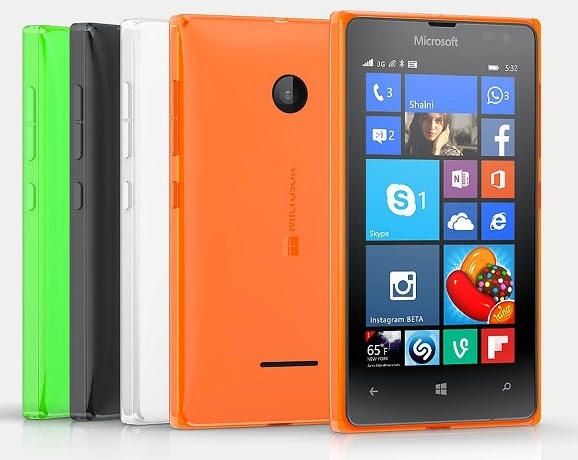 And if you want to change the color of your Lumia 435 or Lumia 532, just get a new back shell (available in orange, green and white). The Lumia 435 and Lumia 532 will begin rolling out in February in select countries in Europe, Asia-Pacific, India, the Middle East and Africa. 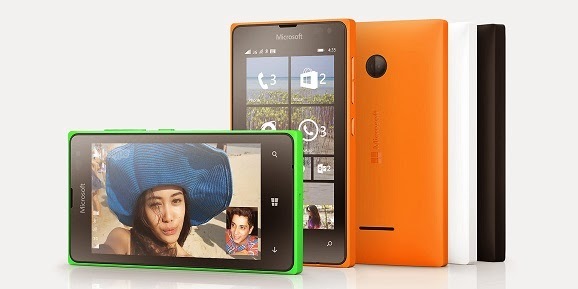 Pricing for the Lumia 435 is estimated to be 69 euros/5056 INR/81.29 USD while the Lumia 532 will be around 79 euros/5789 INR/93.10 USD. Please keep in mind that pricing will vary by market and operator. What do our readers think of these new affordable devices? Do you had a plan to buy a Lumia ? Do share in the comments. Also, don't forget to share this post with friends.